Technically Speaking, HomePod is built to bring out the best in Apple Music. Just ask Siri and you can play pretty much any song you can imagine. This Apple’s new device is a voice assistant-equipped speaker that will help with everyday tasks, control your smart home and play music on command. 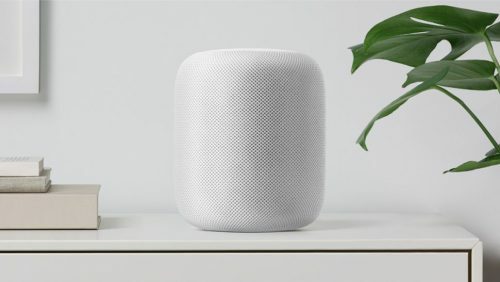 With amazing sound, spatial awareness, and the vast Apple Music library, HomePod takes the speaker to a whole new level! HomePod integrates with Apple Music and features built-in Siri support. With a 6 microphone array, the speaker can detect Siri commands from anywhere in a room, even when loud music is playing. The HomePod will be released on February 9, with pre-orders opening since January 26 in US. You can pre-order it NOW to be one of the few who receive HomePod before everyone else! Remember to sign up with us to get access to our US warehouse.